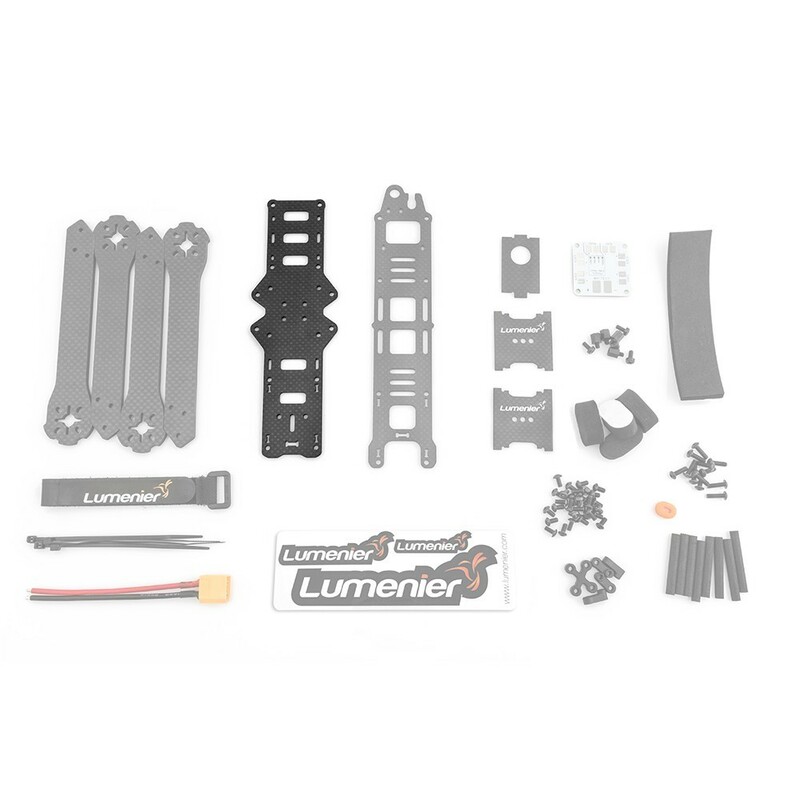 The Lumenier QAV-RXL bottom plate is a replacement for the bottom plate of the QAV-RXL. 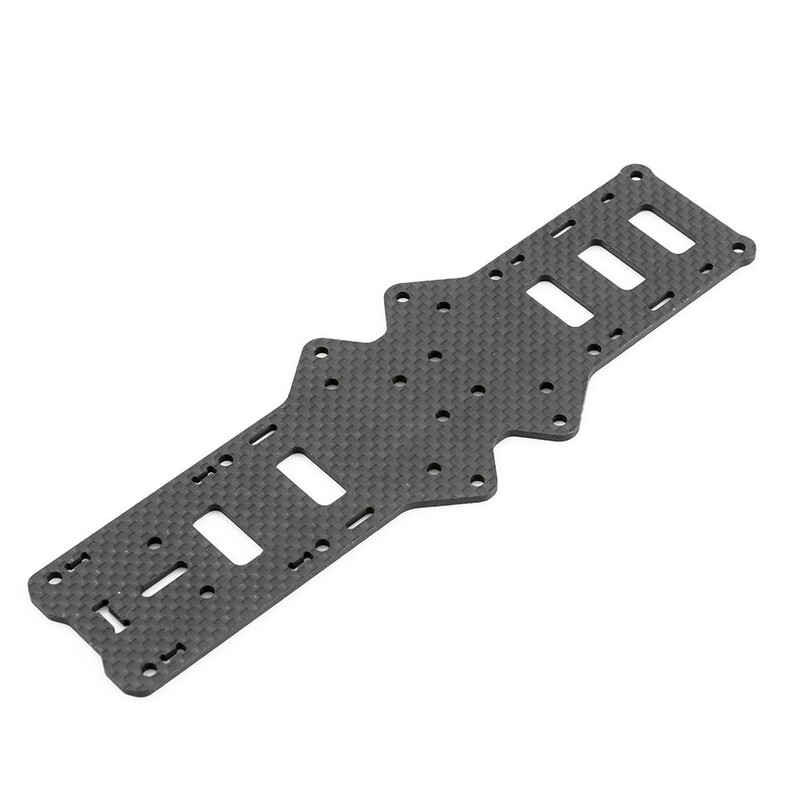 This bottom plate version has had 2 of the cutouts in the centre of the bottom plate / frame removed, not cutting these holes gives the plate additional carbon fiber material at the point where the arms mount to the frame. The additional strength where the arms are mounted means that the frame will not flex under hard turns and full power flights.